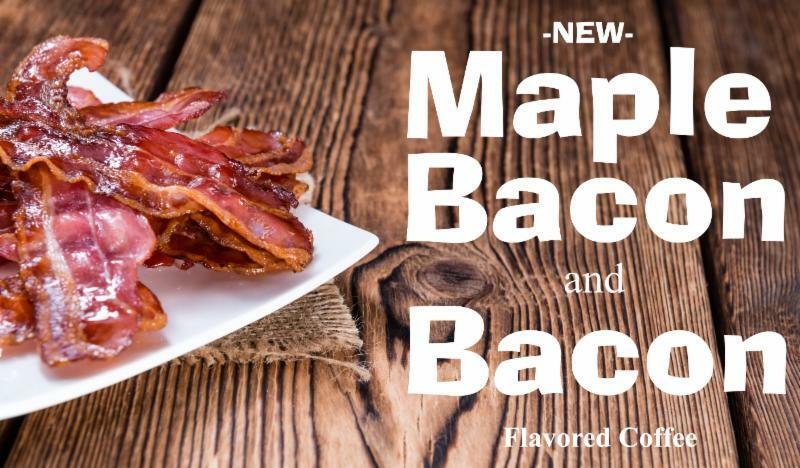 We have added two new bacon-centric flavored coffees! MAPLE BACON: Sweet taste of maple with the savory, smokey taste of bacon. BACON: Salty, savory and smokey flavor of bacon.